We have a lot to say and dare you to read it all. The ultimate purpose of your website is to provide information that’s is accessible to visitors and to convert visitors to customers. In order to achieve this goal today, your digital presence needs to be as current as the technology it lives on. 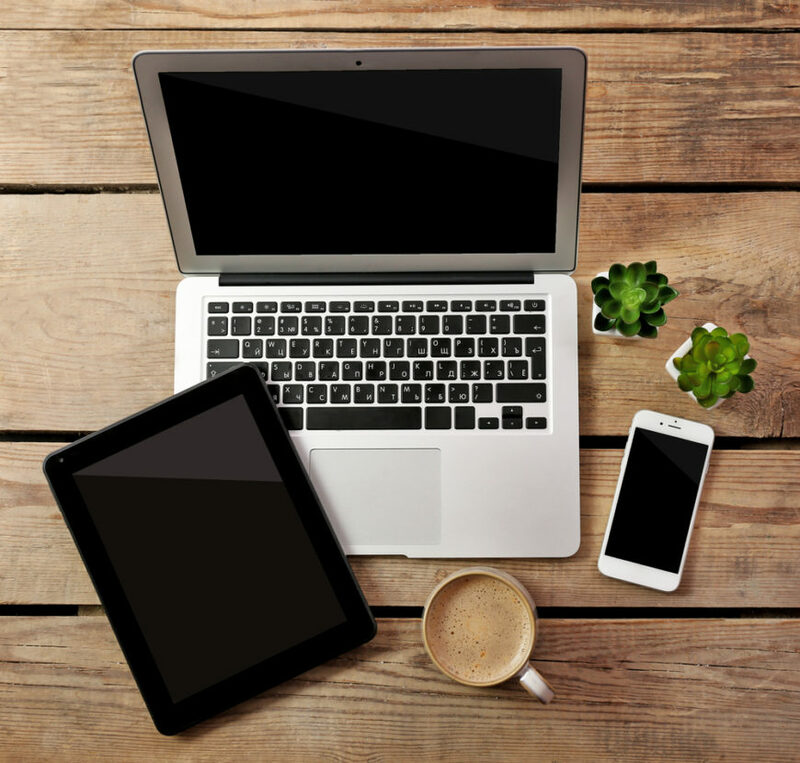 From smartphones to tablets and even smaller laptop screens, your site’s web design needs to meet specific expectations. 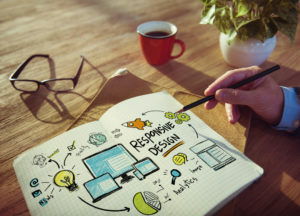 Fortunately, with an understanding of how to improve the user experience via responsive design, your next site redesign can be the one that ensures your business’ goals are met. Responsive web design is a method that allows a business to be able to have one site that functions perfectly across devices of different sizes. One may think that all websites are responsive across all platforms. However, take a closer look at the traditional website that is fixed without responsive design in mind. If viewed on a desktop, the site may navigate as designed and demonstrate no issues within the user experience. The beauty of responsive layout is that the different elements needed to have a site work on multiple elements instantly applies to adjust a display to perfection. This is achieved through specific characteristics found beneath the initial surface of the web design process. Within responsive design, page elements aren’t sized by pixels, but instead by proportion. This design approach also utilizes fluid grids which make the site’s look from device to device easier to achieve. Aside from the speed and fluidity of responsive design, these sites can do so much to help benefit a local business that relies on them to attract brick and mortar traffic. Flexibility among devices means that your site will see more mobile traffic. This leads to your company becoming an industry leader, especially if your competition is still using fixed sites. Faster web pages with content that is well-optimized and responsive mean that improved user experience will result in lower bounce rates. Non-responsive websites face difficulties within user experiences that cause visitors to quickly grow bored and thus bounce from the site. 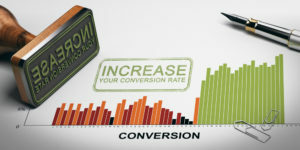 Once you’ve been able to get your bounce rates low, your consistent user experience will be the driving factor that converts new customers for your brand. Having a site that functions perfectly across all devices is the secret to becoming a brand that users trust over other local competitors (bounce rates directly influence search engine rank as well so the lower the bounce rate the more likely you are to rank better and get more clientele). One of the benefits of responsive design is simplified site analytics (the ability to track site traffic and user behavior). Sites with multiple versions of pages for different devices make analytics much more complex and confusing. Simplify that process with responsive design.. Responsive web design is an attainable goal, but one that can only be accomplished with the right team on your side. Keep in mind that responsive design isn’t always the right choice for every type of business. There is an industry-wide debate about when to use responsive vs. mobile design among B2B information sites and smaller businesses operating at the local level. Join us next month as we take a deeper look at mobile-first web design and the differences and benefits that it offers when compared to responsive sites. Big D Creative is a Dallas-based web design company that creates websites that are compatible with a wide range of accessible devices. Trust our experience and skill sets to help design your website to reach your audience and make you an authority in your industry. Contact us today to schedule your free consultation.